Braiding short hair is a very important process if you are planning to sew hair extensions to your head. By doing this you will be able to add extensions to the hair to make it look thick. Just follow this process to create braids in your hair before sewing the extensions. The following process is called as wrapping where your natural hair will be wrapped over the head before starting your sew in process using the hair extension. Those who have short hair must add their hair to tracks which will also give it a stronger look. Try to secure the hair in a proper way so it doesn’t come out once you have attached the extension to it. Use a synthetic hair extension which is normally applied by everyone to their in the present day. If required you can also use a human hair extension for the styling process. Start by wrapping your synthetic hair around your natural hair to create a cornrow. 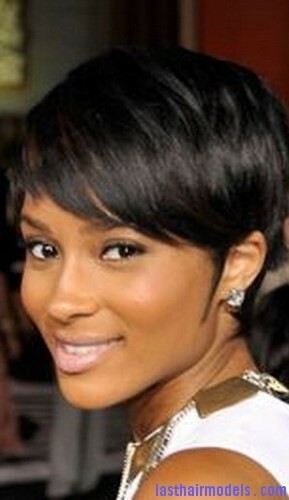 You must have a very strong base on your head to make the sew in process simple. The wrapping process is very important as this will create a simple and strong base for your synthetic hair. Do some good practice with the wrapping process so once you place the extension track over the hair so it doesn’t become loose. Use 1-2 hair clips to secure the wrapped hair in place all over the head to end the wrapping process perfectly.